He died in his sleep. He was 77-years-old, which I consider way too young. It would be great to remain healthy and live to 100 or even older! The famous Judge Wapner died at the age of 97. My grandfather died at the age of 106! The CIA’s latest report on life expectancy by country reveals that in the United States the life expectancy is about 79. Monaco, France has the highest life expectancy at 89.50, and Chad, Africa has the lowest at about 50. I believe we can make these numbers rise by being consistently proactive about our health through certain lifestyle choices. There are some things we cannot control, like our genes or some of the oxidative stress caused by pollutants we are exposed to just by living on this planet, but there are steps we can take in our daily life to help decrease the risk of certain diseases, including lung and all types of cancer. “Lung cancer is the leading cause of cancer death in the United States,” reports the Centers for Disease Control and Prevention (CDC). You probably know smoking and being exposed to secondhand smoke are two of the biggest causes of lung cancer. 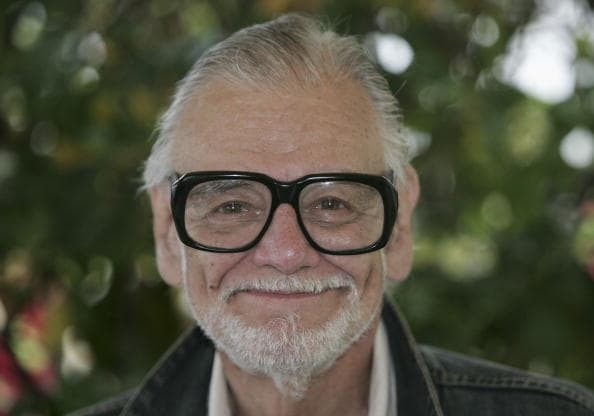 We cannot definitively say what caused Romero’s lung cancer, however, he did smoke and recalled chain-smoking Marlboros sometimes while he was working. Other than avoiding smoking and being exposed to secondhand smoke, what else can we do to be proactive about preventing lung cancer? Exercise. According to the National Institutes of Health (NIH), studies show that physical activity may reduce lung cancer risk by 20-30% for women and 20-50% for men. To find out how much exercise you need and what type of exercise is most appropriate for your age, click here. Golf is a great form of exercise for any age group. It may even help with longevity overall. Another great way to be proactive about preventing lung cancer and all types of cancer is through diet. The NIH says 30-40% of all cancers can be prevented by lifestyle and dietary measures alone. For cancer prevention, it is important to get a daily adequate intake of vitamins, minerals and antioxidants, which help reduce the damage from oxidative stress. Here are some proactive steps you can take with diet. Watch your sugar intake. The University of Texas MD Anderson Cancer Center found evidence in a study, published in 2016, that consuming a high glycemic index diet, meaning foods that elevate blood sugar levels rapidly, may cause an increased risk of developing lung cancer in non-Hispanic whites. Eat foods with magnesium. There is some evidence that this mineral may reduce the overall risk of cancer. In one study, researchers found that the group with the highest magnesium intake seemed to have the lowest overall cancer risk, while the lowest magnesium level group carried a higher risk. Foods containing magnesium include spinach, pumpkin seeds, yogurt, kefir, almonds, black beans, avocado, figs, dark chocolate and bananas. Eat foods with selenium. Selenium may be protective against cancer, and a deficiency in this important mineral is a risk factor for several types of cancer. Research shows that low serum levels of selenium were found in lung, laryngeal, prostate and urinary cancer patients. Foods high in selenium include Brazil nuts, yellowfin tuna, halibut, sardines and chicken. Eat foods with zinc. People with an increased dietary zinc intake may have a lower risk of lung cancer, a study suggested, noting the protective benefits of this mineral. Eat lamb, pumpkin seeds, grass fed beef, mushrooms, chickpeas, spinach and chicken to get more zinc in your daily diet. Eat foods with copper. People with increased dietary copper intake may have a lower risk of lung cancer, a study suggested, noting the protective benefits of this mineral. Copper rich foods include sunflower seeds, lentils, almonds, dark chocolate, beef liver and asparagus. Eat foods with iron. Increased iron intake may also help protect against lung cancer. Just be careful, because excess iron intake can cause other health problems. Iron-rich foods include red meat, pork, poultry, seafoods, beans, spinach (and other leafy greens), peas, cherimoyas and iron-fortified cereals. Eat foods with sulfur. Antioxidant enzymes glutathione peroxidase and glutathione reductase (which are sulfur compounds), catalase and superoxide dismutase (which is a manganese compound), all neutralize DNA-harming free radicals, which contribute to cancer development. Most of your dietary sulfur comes from proteins such as fish, beef and poultry. You can also find sulfur in egg yolks, beans, coconut, bananas, pineapple, watermelon, broccoli, garlic, onions, asparagus, leeks, kale, sweet potatoes, peas, chives, avocados, cauliflower, Brussels sprouts, wheat germ and tomatoes. Eating plenty of fresh fruits and vegetables may also help ensure you get an adequate amount of other antioxidants, like vitamin C and A, which help reduce free radical damage that may increase your risk for cancer. Healthy food is medicine. It may even save your life and help you live a long life.